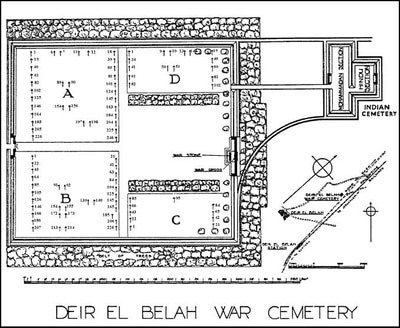 Deir El Belah is in Palestine about 16 kilometres east of the Egyptian border, and 20 kilometres south-west of Gaza. To reach the cemetery, travel along main road number 4 and the entrance is to be found down a sand track just before a junction. Look out for a sign over the road on the right of the junction. 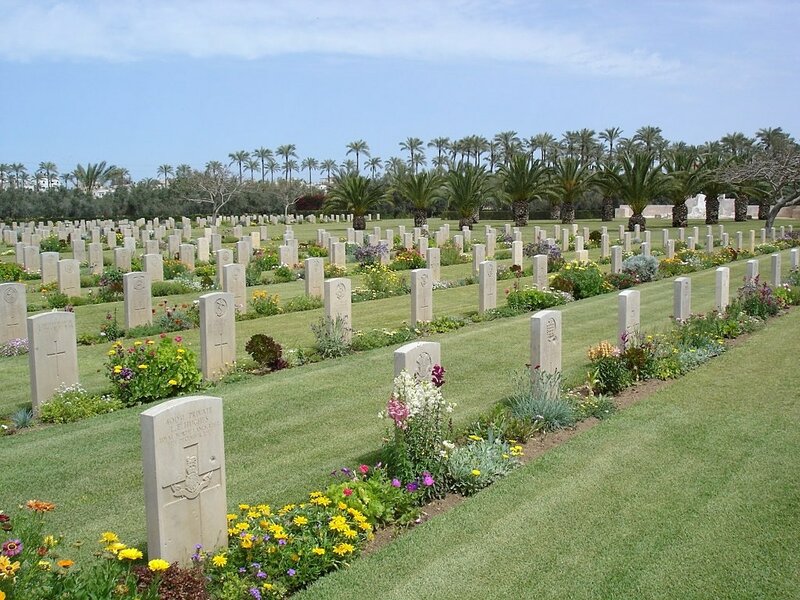 The Commonwealth War Graves Commission is saddened to have to report that Deir El Belah War Cemetery was damaged during a bomb attack in April 2008. 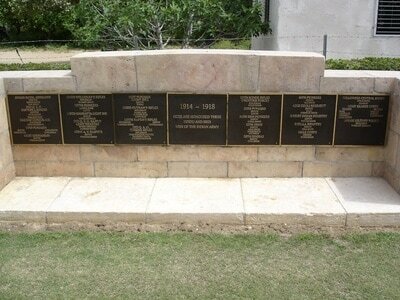 The bomb severely damaged the Stone of Remembrance and Cross of Sacrifice but no graves were affected. The Commission appreciates the distress this news may cause to families of those buried at Deir el Belah but we wish to reassure the public that the damage has been assessed and arrangements are underway to carry out the necessary repairs. Visitors are strongly advised to seek travel advice from their Embassy or Consulate before travelling to Gaza. If using a vehicle with standard Israeli plates (other than one with CD plates) this MUST be parked at the crossing point outside of the barriers. The Cemetery is permanently open and may be visited at any time. Wheelchair access to cemetery is possible via the main entrance. On 28 February 1917, the cavalry of the Egyptian Expeditionary Force entered Khan Yunus, midway between the Egyptian border and Deir el Belah causing the Turks to withdraw to Gaza and Beersheba. 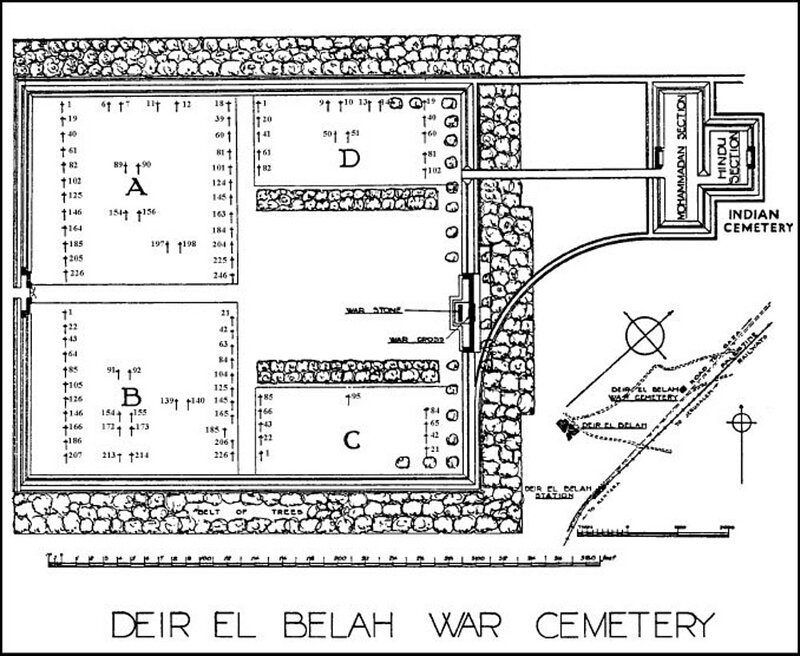 The railway was pushed forward to Deir el Belah, which became the railhead in April 1917, and an aerodrome and camps were established there. The cemetery was begun towards the end of March and remained in use until March 1919. Most of the burials were made either from field ambulances from March to June 1917, or from the 53rd, 54th, 66th and 74th Casualty Clearing Stations, and the 69th General Hospital, from April 1917 until the Armistice with Turkey. A number of graves, the majority of which were originally at Khan Yunus, were brought into the cemetery after the Armistice. The cemetery contains 724 Commonwealth burials of the First World War, the names are now recorded on panels erected within the cemetery. 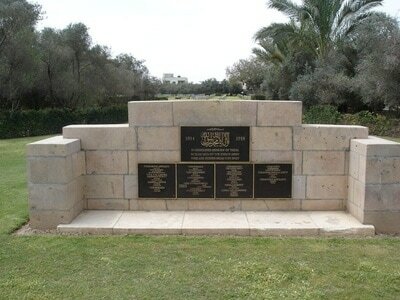 Five of these burials are unidentified. 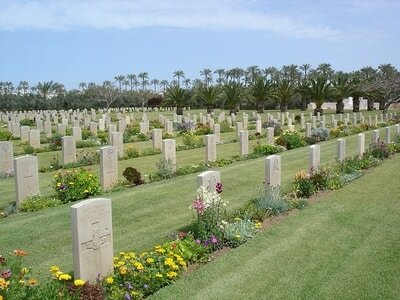 There are also ten war graves of other nationalities, two being unidentified. Killed in action 23rd February 1917 aged 32 years. Son of Alexander and Isabella Mackay, of Scullomie, Tongue, Lairg, Sutherland. Six Mackay brothers fought in WW1. The family came from Scullomie, Scotland. My Grandfather George Mackay was awarded a DCM for valour. Sadly his brothers Angus (21 years), Donald (32 years) and Magnus Mackay (18 years) all died in WW1. 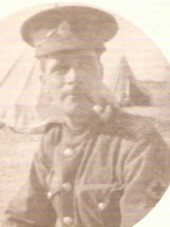 Donald Mackay served at Gallipoli, Egypt and Palestine. 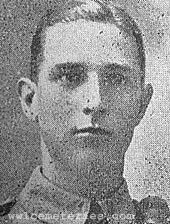 Donald Mackay was killed in action on the 23rd of February, 1917 as his unit launched a cavalry attack. 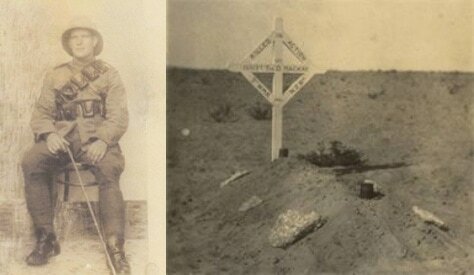 He was buried at Khan Yunis, his body was moved after the war to Deir El Belah War Cemetery. Lest We Forget. Picture courtesy of Linda Brown, great niece of this soldier. 53rd (Welsh) Casualty Clearing Station, Royal Army Medical Corps. 4th May 1917, aged 28. Son of David G. and L. E. Price of Ferndale (Rhondda); husband of Margaret Price, of 38, Derist, Tylorstown (Rhondda), Glam.